All Mansfield Twp homes currently listed for sale in Mansfield Twp as of 04/20/2019 are shown below. You can change the search criteria at any time by pressing the 'Change Search' button below. If you have any questions or you would like more information about any Mansfield Twp homes for sale or other Mansfield Twp real estate, please contact us and one of our knowledgeable Mansfield Twp REALTORS® would be pleased to assist you. "This is an unbelievable opportunity to own a home in the desirable Meadows of Mansfield development. 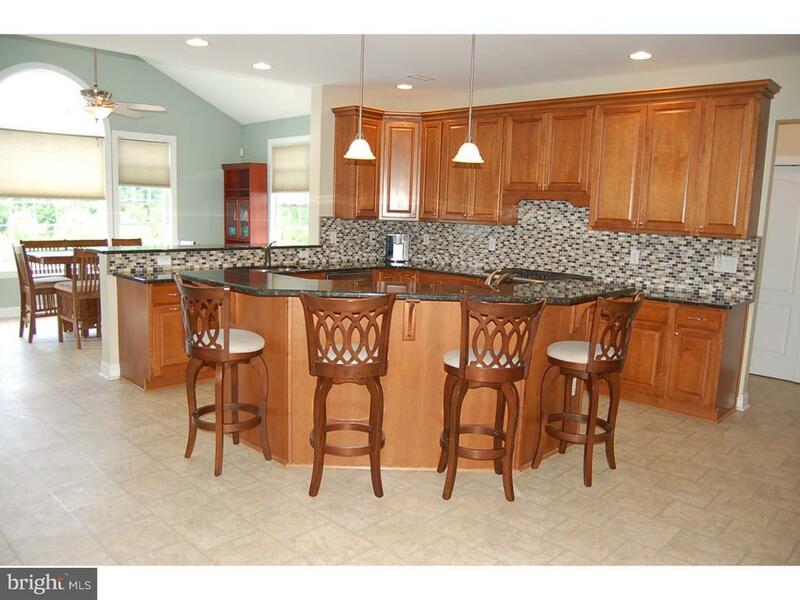 If you are looking for a fabulous home for entertaining this is the home for you! Located in Mansfield township, this home features a beautiful backyard with an inground pool with water features, patio, and deck looking out to farmland. Imagine entertaining poolside, or enjoying your morning cup of coffee on the deck while enjoying the scenic view. The gourmet kitchen is a cooks delight with stunning granite counter tops, cherry cabinets, a double oven, warming drawer, double sink, Kitchen Aid Appliances, and a breakfast bar with a vegetable sink. The kitchen opens to the den with the fireplace. The spacious formal dining room and living room are located on either side of the two story foyer and boast hardwood floors. A home office, half-bath, and laundry room complete the first floor. Upstairs you will find that the Master Suite is an oasis! It has three large closets, a sitting room, and an upgraded Master Bath. Each of the three other bedrooms has ample closet space and good light. Completing the upper level is a loft. The full walk-out basement is ready to be finished into more living space, or a great storage area. This home is being sold as-is with the buyer responsible for all inspections, well and septic testing. The owner is motivated!" "Three bedroom, 2.5 bath Colonial in rural Mansfield Township. Eat in kitchen. Large family room with glass sliders to spacious back yard. Main bedroom with its own private bath. Full basement. Extra large lot. Close to Route 206, McGuire Air Force/Fort Dix Army Base, and NJ Turnpike. Property sold as-is, purchaser responsible for CO."